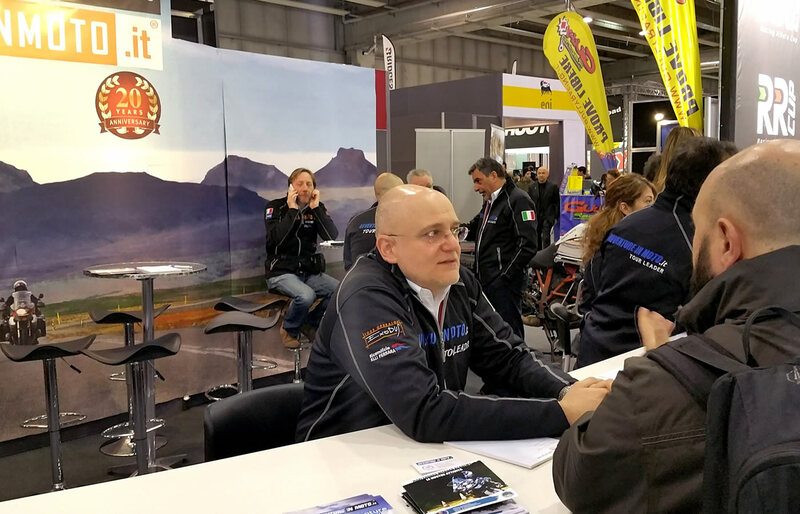 The annual appointment in Verona, famous above all for being the main event for customisations linked to the custom/classic/café racer segments, a few editions ago has also become one of the few opportunities to meet tour operators specialised in motorbike travel and learn about their 2016 proposals. Did you miss this year’s edition? Not a problem, GIVI EXPLORER will update you. 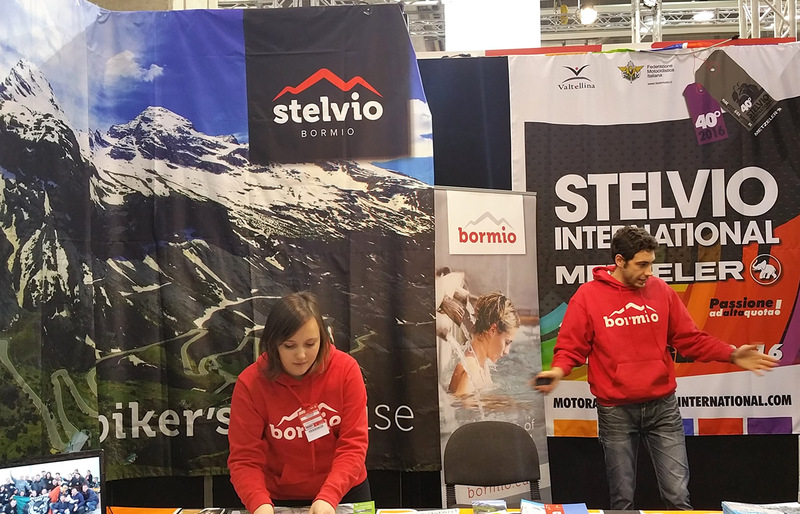 Motor Bike EXPO took place in VeronaFiere between 22nd and 24th January 2016, and as usual saw visitors swarming in from everywhere (the figures confirmed by the organisers talk of over 150 thousand visitors over the three days). In this incredibly fun context, made up basically of bikes, accessories, stunt men, world-famous customizers, beautiful girls and a lot of colour, there was no lack of suggestions for those who love the great motorbike raids or simply a summer holiday with a spark of adventure. Part of Pavilion 6 in fact hosted a great number of two-wheel tour operators, from Italy and abroad, some of them already well-know to the aficionados, while for others it was their first presence at the fair. Following you will find a brief overview of the most interesting initiatives and the contacts for more information. Organisation made up of passionate bikers, all with important travel experiences under their belt. The offers are all personally tested by the staff to guarantee that everything will live up to expectations. They provide bike and baggage transport to your chosen departure point (you travel by plane with only your hand-luggage). It’s also possible to hire bikes. One of the most fascinating islands in the world. 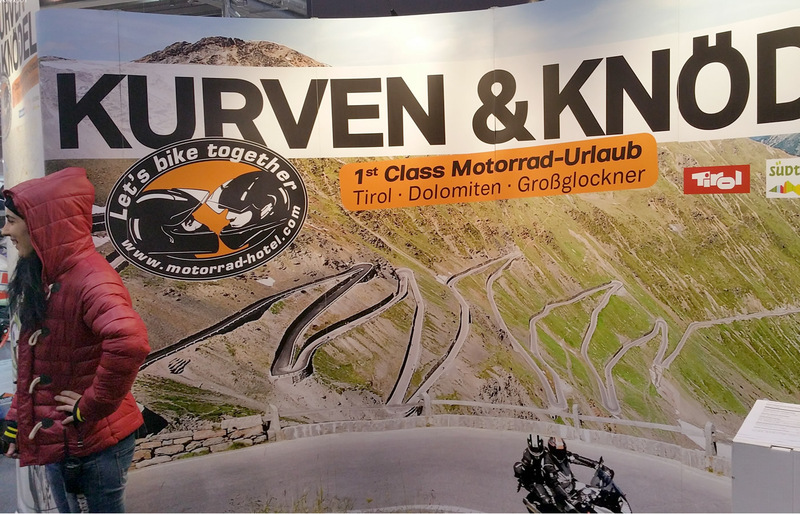 A real paradise for bikers. A place where nature is breath-taking. Alessandro Tamburini, geologist, has been organising tours in Iceland for 20 years, with no middle-men, being in direct contact with the local service providers. There are various travel solutions: on- and off-road guided tours, individual tours with a Fly&Ride formula, flight, hotels, ferry bookings. Possibility of bike hire, tour design and much more. This organisation is specialised in logistic assistance and support services for groups on motorbikes, quads, and 4×4 cars. At the fair they presented programmes for Turkey and Morocco, with various proposals. Turkey: the Lycia Off Road Tour (6 days with overnight stay in hotels), the Cappadocia off-road (one week with overnight stay in hotels) and the Transanatolia Track, a real 10-day rally training, with road-book, overnight stay in hotels and camps. Morocco: Erg Chebbi (5 days with overnight stay in hotels and camps), Atlantic Coast (7 days with overnight stay in hotels and camps). Evasioni deals also with transport and assistance for road bikes on all international itineraries. Their slogan is ‘if you don’t travel you don’t live’. They started sharing their experiences with other travellers, becoming experts in logistics, management and assistance for trips with or without motorbikes. We’re talking of a tour operator/travel agency led by two women (Ivana and Emanuela) and specialised in planning adventure holidays for individuals and groups in every corner of the world, including motorbike and MTB holidays. From enduro in Sardinia to the North of Morocco, from motor sledging in Romania, to the Emirates in motorbike etc. On-road, off-road and 4×4 trips. Specialist in tailor-made tours in every Continent, with special consideration (also in price) for groups. They can ship your bikes almost anywhere. The organisation has a dense calendar of trips for every destination, with on-road and off-road journeys. Impossible here to list them all. We will mention the ones that stimulated our curiosity, like the adventure in the Amazon (23 days), the Transhimalayan (15 days with hired bikes), Oman (12 days), the Sendero Transandino (23 days with bikes shipped there or hired), Cuba by bike (16 days)… Their prices usually include flights and ferries. “Buy yourself an adventure” is what the brochure in our hands says. Inside is the calendar with the trips the company has programmed between June and November 2016. They all leave from Moscow with different destinations, all inside ‘European’ Russia. 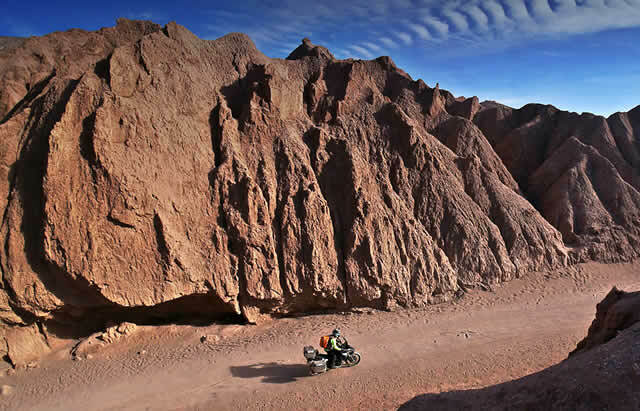 They plan the tour, offer BMW 1200 GSs for hire with ad-hoc accessories, choose the local guides and manage all bookings. An example of a tour? The MOSKOW-KARELIA, 13 days, 3,000 km to cover, 90 per cent on road and the rest off road, 2,950 euros per person. The tour touches also Saint Petersburg. Karelia is a region with many small lakes. Guided or self-guided groups, motorbike shipping and hire… everything tailor made. They organise trips in 50 Countries around the world and present themselves as experts in South America. Their tour of Patagonia and Tierra del Fuego is available between November and March, the ‘self-guided’ tours are organised providing the bike, a GPS satnav set on the chosen itinerary and booking the hotels. You just have to choose when to leave. With the Fly&Ride formula you leave with all your necessary papers in order and the baggage you need; you pick up your bike on arrival and leave it in a different city, optimising your time. The founder of this organisation is well-known to you all: Gionata Nencini. Specialist of bike tours for a very long time on the market (since 1994) thanks to the initiative of its founder Eligio Arturi. 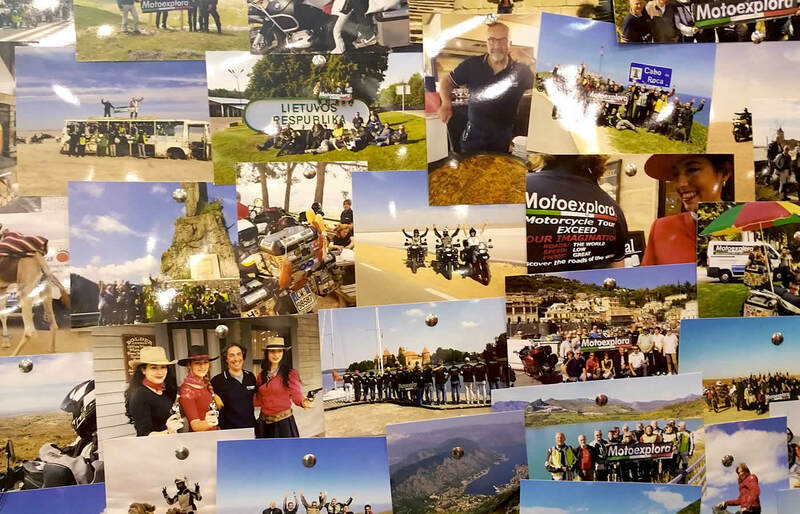 Eligio has taken thousands of bike riders around the world and Moto Touring’s calendar remains one of the richest, with offers that touch the 5 Continents. 2016 includes trips to Lake Victoria, Iran, Samarkand, Japan, Alaska, besides the many classic destinations (from Coast to Coast in the USA to South Africa…) Most of their trips are on asphalt roads. No desert adventures or itineraries for dowel-pin-expert riders (actually there is one exception: Ethiopia). Possibility to hire BMW motorbikes. 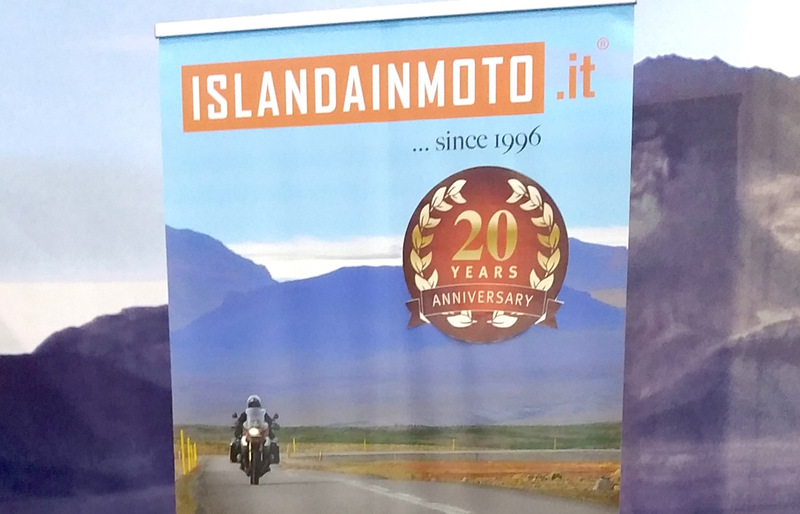 Historic agency from Bergamo (Lombardy), specialised in trips for motorcycles (enduro and road) and 4x4s. The name evokes the 4 points of the compass, and actually their tours touch each point of the globe, with a particular fondness for Africa, with tours in the North, Centre and South. There are also classic destinations such as Iceland, Turkey, Patagonia and the USA… The length is between 5 and 15 days depending on the destination. You can participate with your own bike, shipped and collected by them, or with a hired bike (since this year NWSE has 10 twin-cylinder bikes). Each offer is explained in detail in the beautiful catalogue which states on its front page: ‘If you want to go fast travel alone, if you want to go far travel with us’. www.motorrad-hotel.com (the website is in Italian). The natural heritage of Sardinia is really incredible, but to discover it you need the support of a local organisation. Insolita Sardegna promises to show you the island’s most secluded and spellbinding corners, in the real green heart of this territory. Their proposals are aimed at bike riders and 4×4 drivers. The proposed itineraries can be followed using your own bike or a hired one. The only motorbike specialist agency based in Corsica. They range from specialist advice to the creation of tailor-made tours/stays. Possibility to hire bikes at Bastia airport, with a really vast choice, from maxi enduro to maxi scooters.